Taking care of your health on a mental level is something that I am a big proponent of. Often times we take so much time focusing on our outer appearance and forget or become distracted on what is happening on the inside. Your mental health can and will directly affect your physical health if not managed. Your mind will play tricks on you if you let it so, it is so necessary to keep yourself in check and do your best to surround yourself with people who won’t give up on you. There is such a stigma when it comes to mental health, specifically suicide, which is reflected in the growing number of unreported cases. One thing that I have taken for granted over the past few years is “me time.” I never really understood the importance of really enjoying your own company until it was no longer an option. Life changes and you sometimes find yourself so busy that it’s not surprising to look up one day and realize that in taking care of everyone else, you may have forgotten to take care of yourself. One of the main reasons you HAVE to make time for yourself is because stress is at an all time high. Stress can really create some uber serious damage to your mind, body, and soul. Stress alone has been known to cause headaches, obesity, high blood pressure and depression. Finding your peace can really give your body and your mind a much needed break from the daily pressures and issues that we all face. Personally, I am making a conscious effort to change that and so far I can really tell the difference. I think your “peace place” changes depending on the chapter you are in in your life. Currently I find my peace in the great outdoors and have found my place at Prayer Mountain. 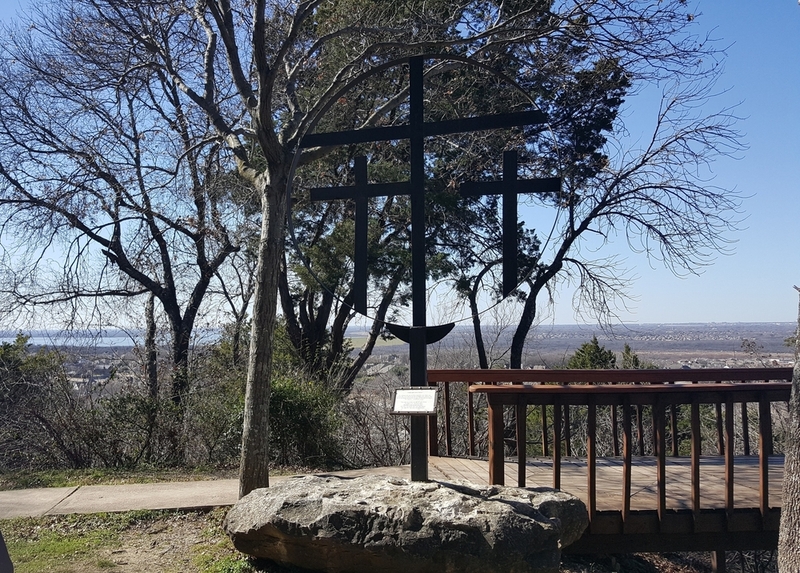 Prayer Mountain is the highest point overlooking the Dallas-Fort Worth metroplex and has over one hundred wooded acres. More than that, it really is just freaking gorgeous! It is a great place for hiking if you are into that type of thing, and it is the PERFECT spot to just BE STILL. I get excited just thinking about my next visit! What are some methods you are currently using to “Find Your Peace”? Have you noticed a big change?